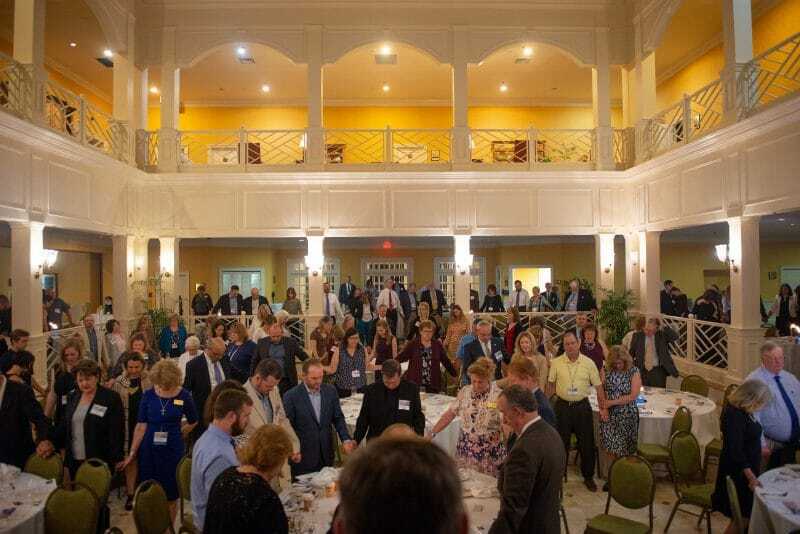 Attendees at NIFLA’s 25th Anniversary Celebration bow their heads in prayer. The National Institute of Family and Life Advocates has worked diligently for twenty-five years – a quarter of a century – to protect the right of pro-life pregnancy centers to operate and empower mothers to choose life. NIFLA’s efforts in federal court against the violations of the free speech rights of such centers is a major focus as we continue the battle for the sanctity of human life in our nation. In NIFLA v. Becerra the Supreme Court has an opportunity to protect free speech rights not only for pro-life pregnancy centers, but also for all Americans. NIFLA’s 25th anniversary comes as a decision from the Supreme Court is eminent. 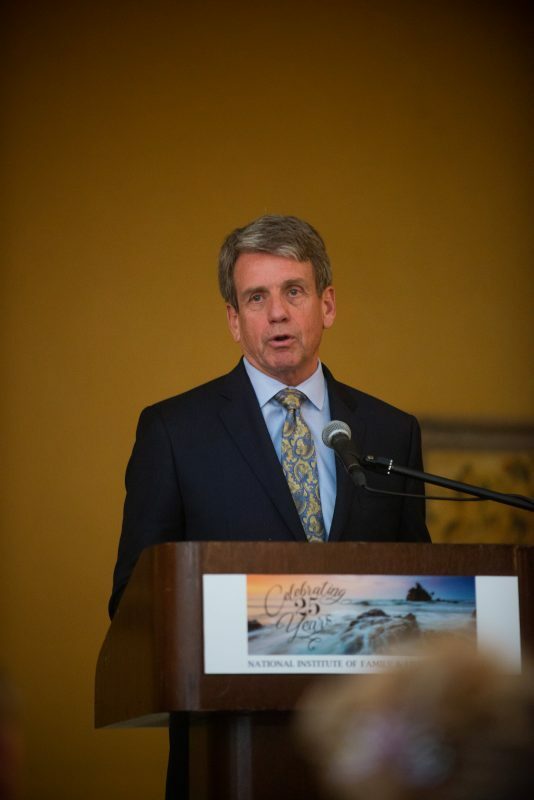 Thomas Glessner at NIFLA’s 25th Anniversary Celebration. 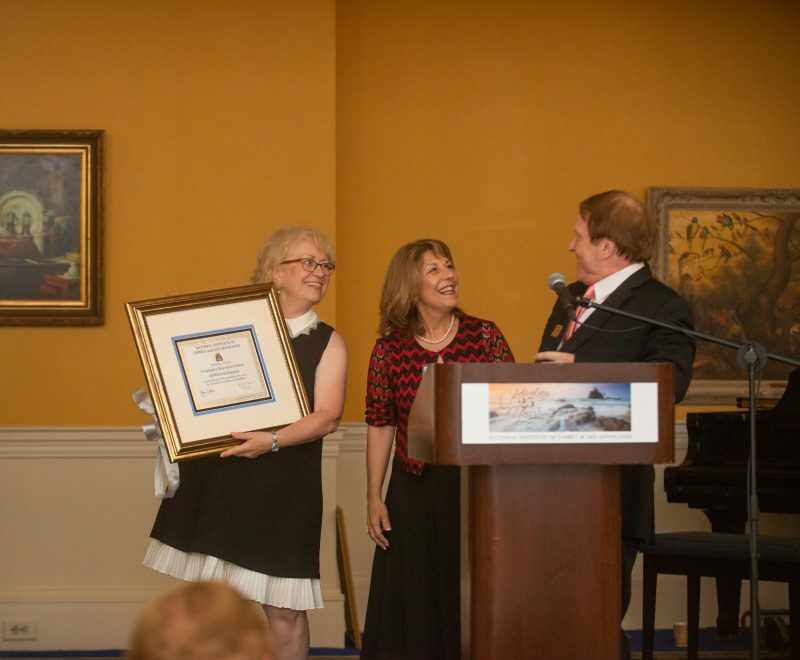 America’s top pro-life leaders, women’s legal advocates, and Christian voices assembled in Virginia Beach on Wednesday, May 23, to celebrate NIFLA’s 25th anniversary. Heartbeat International, a fellow pregnancy help network, congratulated NIFLA on its anniversary in a statement, noting the central role the organization has played in advancing the life-saving efforts of pregnancy help centers nationwide. “Tom, Anne, and the team at NIFLA have been key in protecting the growth of the pregnancy help movement, and positioning centers to overcome egregious legal attacks,” said Jor-El Godsey, president of Heartbeat. Mike Farris delivers key note address at NIFLA’s 25th Anniversary Celebration. 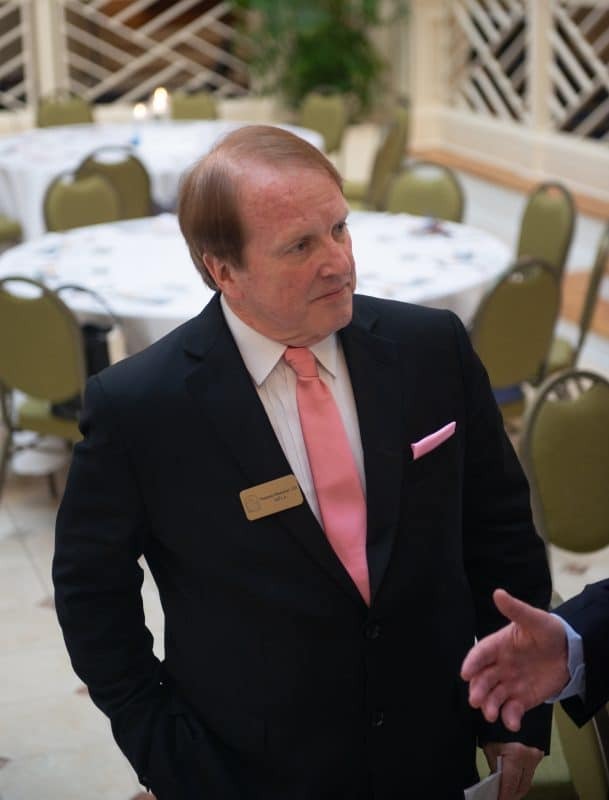 “It is an honor to be associated with NIFLA and with the centers… and to be able to argue their case before the Supreme Court of the United States,” Farris said to the applause of those gathered Wednesday evening. Farris’ praise for NIFLA was echoed by other leaders in the pro-life movement. Kim Warburton, Executive Director of Pregnancy Resource Center of Metro Richmond, receiving a certificate of excellence. In a show of support for NIFLA and its member centers, President Donald Trump and Vice President Mike Pence sent messages to NIFLA for the occasion. “My Administration is committed to protecting the religious liberty of our people and ensuring the right to life for the most vulnerable. I commend the National Institute of Family and Life Advocates for 25 years of service to pro-life pregnancy centers across the United States.